Levi Strauss & Co., the San Francisco-based maker of blue jeans and other clothing, is planning an initial public offering, CNBC reported. 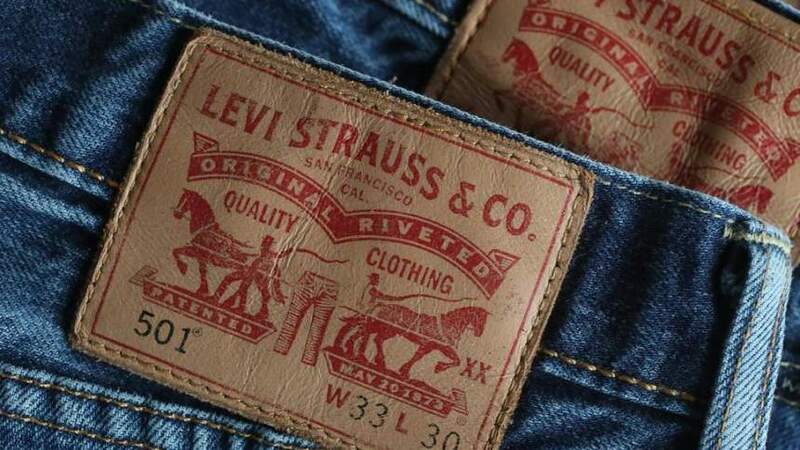 Founder and namesake Levi Strauss immigrated to California from Bavaria during the Gold Rush and opened a dry-goods business in 1853. He was awarded a patent in 1873 for the use of rivets in pants, marking the invention of blue jeans. Dockers and Denizen are also Levi’s brands. The company currently is owned primarily by the Haas family, descended from nephews of Levi Strauss; as of a year ago, Haas family members owned 68.3% of the stock, according to the San Francisco Chronicle. The CNBC report said Levi’s plans to launch the IPO in the first quarter of 2019 and seeks to raise between $600 million and $800 million. The IPO would value the company at about $5 billion, the report said. Though Levi Strauss currently isn’t a public company, the company’s Japanese affiliate, Levi Strauss K.K., is listed in Japan, and Levi’s bonds are publicly traded; therefore, Levi’s files financial statements with the Securities and Exchange Commission. This would not be Levi’s first foray onto the public market. The company went public in 1971 in what then was one of the largest IPOs. During the time it was publicly traded, Levi’s profits and stock price shrunk as competitors entered the market. Levi’s did not fare well while it was publicly traded, and the family took the company private in a $1.7 billion leveraged buyout in 1984. In 1996, after a period of growth, the company bought stock from employees and other shareholders in a multibillion-dollar transaction that put the Haas side of the family in control via a voting trust. Press reports at the time said the Haas branch had been at odds with the Goldman side of the family over dividend policies and other matters. To fund the 1996 buyout, the company took on billions of dollars in debt. At the same time, new online competition was emerging. When CEO Chip Bergh joined the company from Procter & Gamble in 2011, sales had fallen from $7.1 billion in 1997 to $4 billion. Bergh has succeeded in turning Levi’s around, with profits increasing and the debt load cut in half. Is going public a good idea? Families who take their companies public cite several advantages of doing so. A public listing provides a vehicle for selling shares to raise capital for the company. It gives family shareholders a way to cash out their shares at a predictable price (to obtain liquidity, exit the company or raise funds to pay estate taxes). And public companies can use stock as a way to recruit top executives. These advantages must be weighed against the downsides. The initial costs involved in listing a company are high. Outsiders will have a say in company operations, and public shareholders generally pressure management to emphasize short-term results rather than long-term strategies. Levi’s has already been filing SEC reports, but other business families are uncomfortable with the idea of making financial results, shareholders’ identities and salaries public. Moreover, creating these reports is time-consuming, and doing it wrong could create legal liabilities. Many family business owners consider these factors and decide against an IPO. In fact, the number of public companies is decreasing. According to a May 2017 Ernst & Young report, the number of domestically incorporated U.S.-listed companies dropped by more than 45% between 1996 and 2016. That means ordinary Americans without connections have fewer opportunities to invest in growing companies, a factor that economists say contributes to income inequality. But it seems as if the public may soon be able to invest in the company that invented blue jeans — a quintessentially American garment — again.